The 1992 American Silver Eagle Coins experienced declines in both the sales of the bullion Eagles as well as their proof counterparts. Silver bottomed out during the year explaining some of the disinterest shown in the Eagle strikes. It averaged a dismal $3.95 an ounce for the year after having slid from the high of $7.01 an ounce five years earlier. Proof Silver Eagles for the year were struck at the US Mint’s facility in San Francisco, just as they had been since their debut in 1986. However, 1992 would mark the last year for their production in California as responsibility for them was shifted to the US Mint’s facility in Philadelphia. Bullion Eagles, however, would continue to be struck in San Francisco for several more years. A total of 5,540,068 of the 1992 Bullion Silver Eagles were struck. This was a decline of 1,650,998 from the previous year, or down 23%. 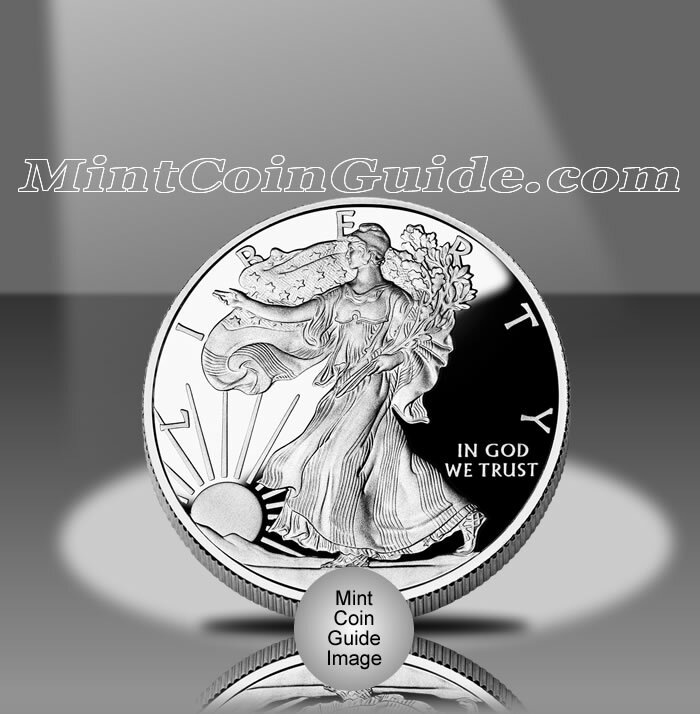 The 1992 Silver Eagles were the seventh annual series of coins available since the introduction of the program back in 1986. The US Mint had the 1992 Eagles available for most of the year. Proof Silver Eagles were available directly from the US Mint for $23 each. Bullion Silver Eagles were sold by the Mint to its network of authorized purchasers who then re-sold them for a slight premium above the cost of the silver contained within them to the public. Both the bullion and the Proof Silver Eagles were struck at the US Mint’s facility in San Francisco. However, only the proof strike contains the ‘S’ mintmark. Adolph A. Weinman designed the obverse (heads side) image to show a "Walking Liberty." It was first used on the 1916-1947 half dollar. The reverse (tails side) shows a heraldic eagle as designed by John Mercanti.